Indian cuisine combines fresh, seasonal ingredients with aromatic spices to create hearty dishes that are perfect for anyone who is trying to eat better and add variety and excitement to their meal plan. 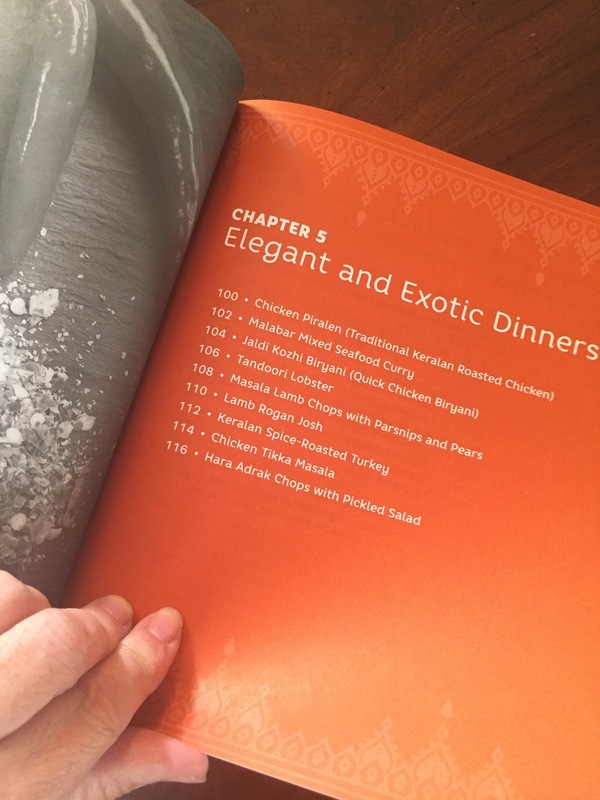 This book was designed to help home cooks of all skill levels prepare bold, delicious Indian meals. The recipes in this collection have been adapted to meet the American Diabetes Association nutrition guidelines and include practical tips and techniques for the modern cook who doesn’t have hours to spend in the kitchen. 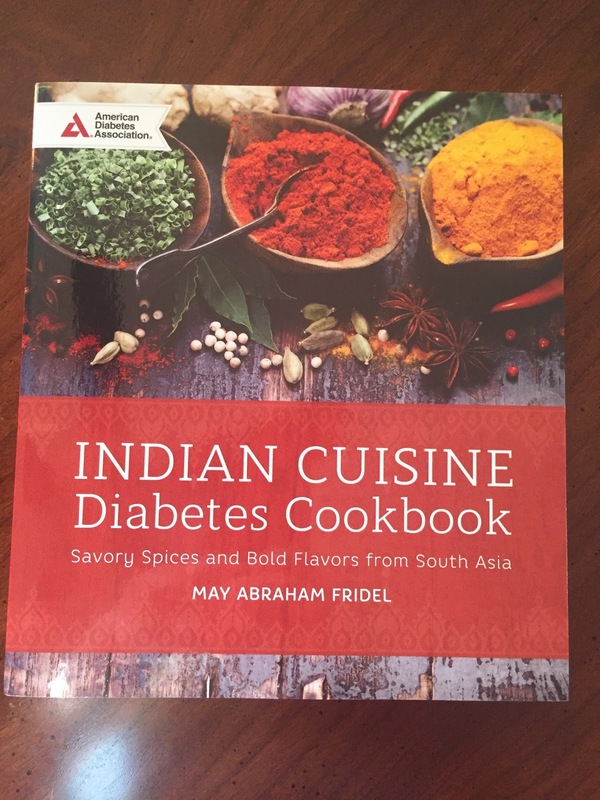 The Indian Cuisine Diabetes Cookbook includes a dish for every palate and occasion—from wholesome breakfasts to elegant entrées, exotic seafood dishes, and whole-grain flatbreads. Packed with flavor and nutrients, these recipes are sure to become favorites in your home. I love ethnic food. 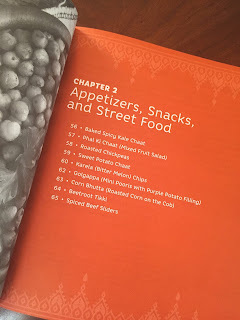 This Indian Cuisine cook book doesn't have enough color photos for me but it does have some yummy recipes like these sections of street food and exotic dinners. 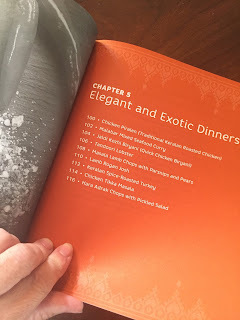 There is a small section in the center of color pictures but I prefer books that have the photos with the recipe but more importantly the recipes in the book Recipes are adapted to meet ADA nutrition guidelines and includes practical tips and techniques. 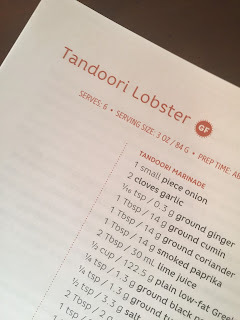 I am loving this Tandoori Lobster. The next time I have the opportunity to have lobster I am so doing this. It is all about those spices. Ginger, Cumin, Coriander, Paprika, and more. YUM!